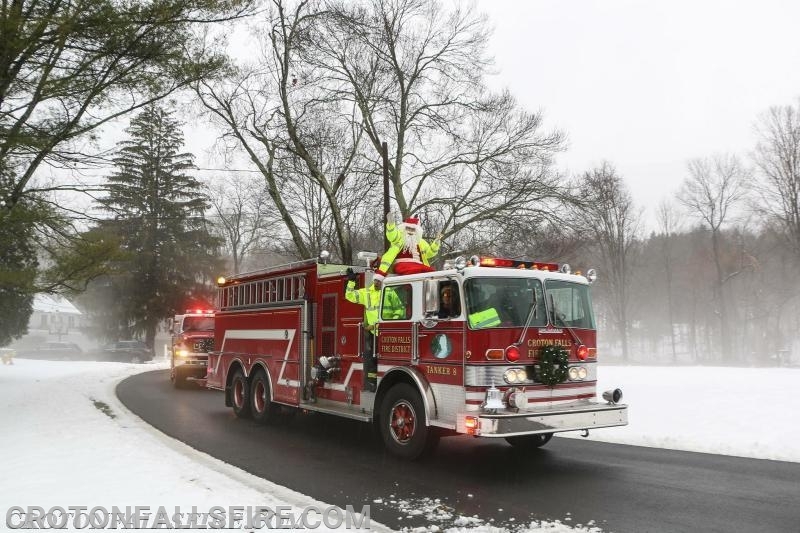 The Croton Falls Fire Department again will help Santa Claus with one of his favorite holiday traditions: the annual Candy Cane Run through town on Sunday, December 23rd. Beginning at 10:30 a.m. on Daniel Road, Santa will criss cross North Salem greeting families and passing out candy canes. Please check the attached schedule to see when Santa will be in your neighborhood. Santa on his run a few years ago.